There aren't many duplexes in Montpelier with two two-car detached garages. That's right: four garage spaces. 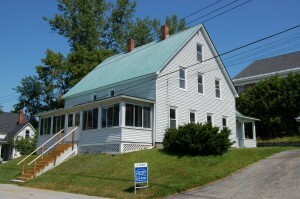 It's tucked away on a quiet sidestreet near Vermont College and has a small, private yard. Each unit has three bedrooms and all the utilities are separate, including water meters. As far as an owner-occupied building in the heart of Montpelier, this one is tough to beat. 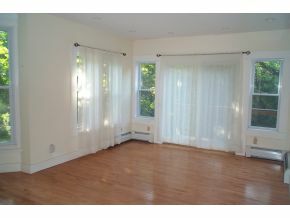 The construction is solid, the location is central, and the parking is abundant. For someone looking for an easy one bedroom condo in a prime location in Montpelier, College Street is a strong candidate. It's got hardwood floors, high ceilings, and a one-car garage. What I like best about this unit is that it is easily within walking distance to downtown Montpelier and the building has top-notch curb appeal. Plus, it's listed at $125,000. Ok, technically it's in Berlin, but it was on the Montpelier caravan, so I'm letting it in. 109 Glinnis is unlike any property I've seen. It's a four-bedroom manufactured home on 1.8 acres (okay, that much I've seen before), but this also has an attached one bedroom accessory apartment. The apartment could generate a little extra income, or it could be perfect for a friend or family member who in need of assistance. Handicap modifications have been made. 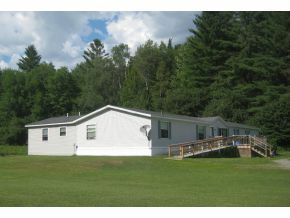 Plus, the 1.8 acres make a beautiful, level yard surrounded by rolling hills, farmland, and woods. It really is a unique Montpelier (Berlin) property. Hello there, You've done a great job. I will certainly digg it and personally suggest to my friends. I'm sure they will be benefited from this web site.